Good overall health without chronic medical conditions. As with any plastic surgery, it is important that your body is strong enough to withstand the procedure and heal from the procedure. Those with diabetes or heart disease need to get clearance from their physician before undergoing plastic surgery. Maintain a healthy diet. It is common for patients who have experienced weight loss to consume less calories. However, if you have a protein deficiency or compromised nutrition, you may not be a good candidate for surgery. A healthy and balanced diet is critical to healing after plastic surgery. Non-smoker. Smoking slows down the healing process and increases the risk of serious complications from facial plastic surgery. You’ll need to kick your habit altogether or at least stop smoking 6 weeks before surgery. Realistic expectations. 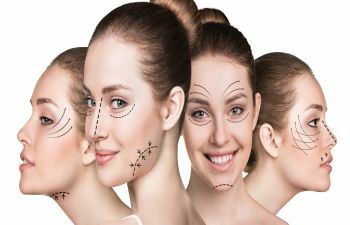 While removing sagging skin throughout your face after weight loss can drastically improve your appearance and even “show off” your slimmer face, you should not expect it to completely reverse the effects of what your weight gain has done. In addition, the face will undoubtedly suffer the signs of aging, which can often present itself as sagging skin over time. Therefore, your skin removal surgery result may not last forever. 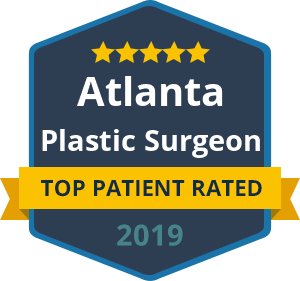 Dr. Ben Talei is a renowned facial plastic surgeon who can perform a wide variety of procedures to help you tighten and lift skin that has become loose after dramatic weight loss. While we offer advanced facelifts and neck lifts, we also offer a number of non-surgical methods to improve mild to moderate loose skin. Call today to schedule a consult and determine your candidacy for facial plastic surgery after weight loss.